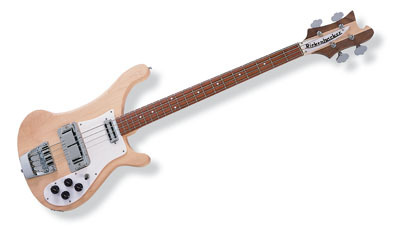 *** Discontinued Model *** Since the time he obtained his Bass in 1965, Paul McCartney�s original Rickenbacker 4001S bass (actually made in 1964) has �evolved� through Numerous modifications. Using the 4001C64 starting point, the 4001C64S fast forwards to incorporate these changes to replicate his Bass as it finally exists today. Most evident is the reshaped body, zero-fret Fingerboard, pickup type, and tailpiece detail. A satin sealer-only finish helps protect The natural Maple body and neck, as well as the Rosewood fingerboard.